There are many benefits and potential reasons why you might be looking around for hiring a driver in Chicago. The best way to take advantage of the skills of a professional driver is to reserve a limousine or party bus. Not only will you benefit from the skills of the driver, but you'll also have a modern vehicle to relax in with your group of friends or colleagues. 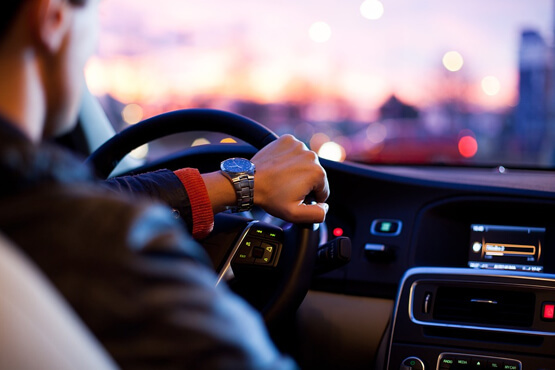 It's crucial to make sure that your driver is acquainted with your chosen venue or destinations in Chicago. Ideally, they will be familiar with all of the details about where they're supposed to park, as well as any specific requirements that the destinations have regarding larger vehicles. If they have never been to the places on your itinerary, they might not be totally efficient in picking you up and dropping you off! This can have a big impact on how your Chicago event plays out. You deserve the highest level of care and attention after paying for their service. When you're hiring a driver in Chicago, it's a good idea to view all of your options and compare prices to make sure you're getting a good deal. However, you do want to be wary of any companies who is advertising a price that seems as though it's too good to be true. Guess what, it probably is! We're proud of the balance that we have achieved in this regard. You can get the top quality transportation without paying top dollar, and that's what it's all about in the end! Have you ever sat in traffic on Lake Shore Drive or had difficulty navigating to a new spot in a timely fashion? If so, you know that driving yourself around this city can be an inconvenience. In fact, if we are being realistic, most times it is! This is the biggest reason why groups decide to hand over this task to professionals. It makes even more sense for the groups who plan on indulging in spirits at a special event or bar hopping trip. It can be tough to find a ride share service who can actually accommodate a group without issues. Even if they can accommodate you, the experience will never come close to the luxury that you experience on a party bus! Since both of these options will usually run the same amount of money, it only makes sense to get all of your money's worth. Hiring a driver in Chicago isn't a crazily involved process, either. We know your day is filled with work, commitments, and surprises, so we will not tie up a bunch of your time trying to get everything in order. After we set up your reservation, all that is left to do is wait for your pick up and prepare to make some new memories in the city. Remember, we are flexible in the service that we provide, so we are happy to lend a helping hand for any type of celebration that you might be planning.